You saw the 3D images more than a year ago, and here's the real thing: The all new, amazing, and near-supersonic Gulfstream 650. 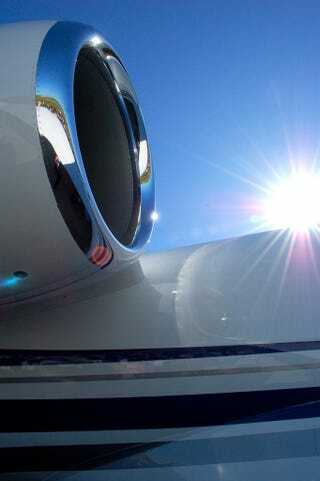 The new Gulfstream 650 can take you anywhere in a 8,000 miles radius at Mach 0.925 and 41,000 feet. It is powered by dual Dual Rolls-Roice BR725 engines, which makes it 33% quieter, emitting 5% fewer NOx emissions and 10% less smoke than its predecessor.